Lean all about gin at the Brooklyn Kitchen. DROPS OF JUNIPER: Now that whiskey’s had its day (and night… and perhaps not-so-fresh morning after), time for a far more inscrutable liquor to grab the spotlight. Bombay Sapphire dispatches master mixologist Milo Rodriguez to Brooklyn Kitchen Labs to give you the botanical backstory, craft custom cocktails with you (using intriguing goodies like cardamom or lemongrass), and more. 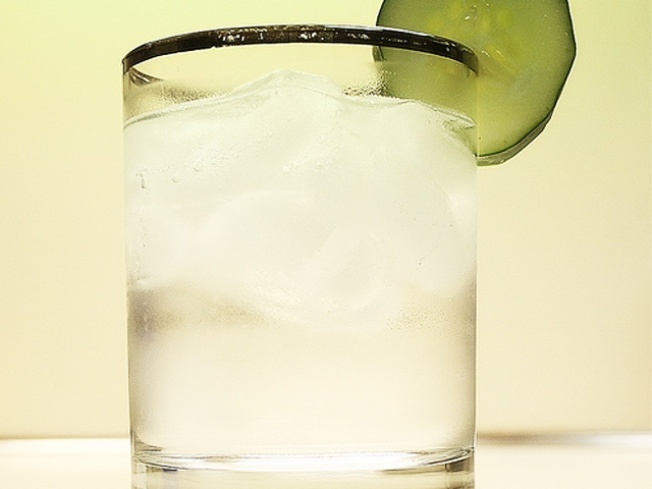 “Gin 101” runs 6:30-8:30PM. IT TAKES TWO, BABY: When you think about it, Dolly Parton and burlesque go together like islands and streams. A passel of downtown artists (including Grammy Winner Lady Rizo) come together tonight to show off their assets in the name of the asset-havingest of them all at “Dolly Would: A Booblesque Tribute to Dolly Parton!” The World Famous BOB hosts a night of twang, tributes, testimonials and (modest, just like la Parton herself) T&A at Joe’s Pub. 9:30PM. EATING FOR TWO: We’re not sure “Park Slope” and “competitive eating” get mentioned in the same sentence so much (unless that sentence includes “Ziploc of Cheerios”), so we’re all the more heartened to trumpet Barrio’s first! ever! Taco-Eating Contest. Rules: First one to clean the Mexican taco fiesta platter down to the china at the Mex-fusion mainstay wins a $100 gift certificate. We’re hoping this means a drinking contest involving their coconut margaritas could actually happen (sigh). 7PM.